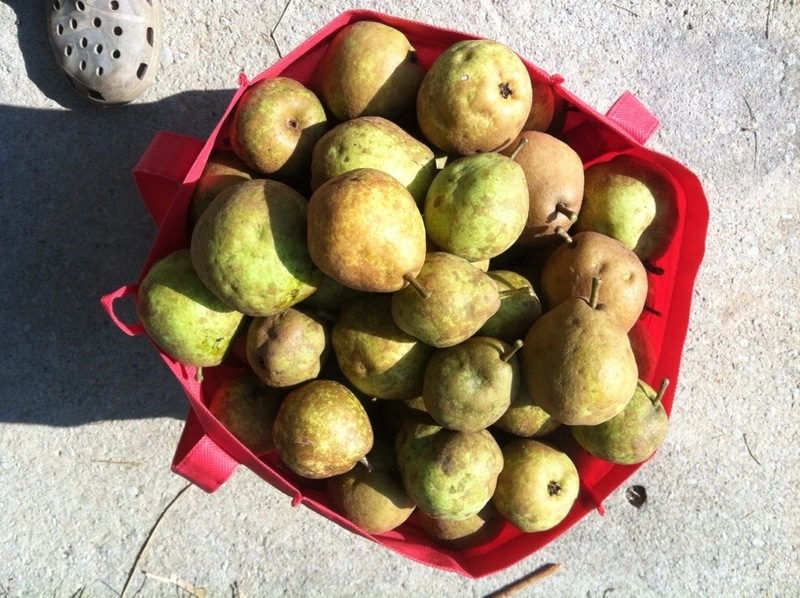 These guys are my task of the day – nearly 40 pounds of pears…..our farm’s namesake. Today is another day dedicated to food preservation. Why wouldn’t you want to make these beauties last? From the Ball Complete Book of Home Preserving, we will be doing Spirited Fruits. Stay tuned for the next posting of the recipe!